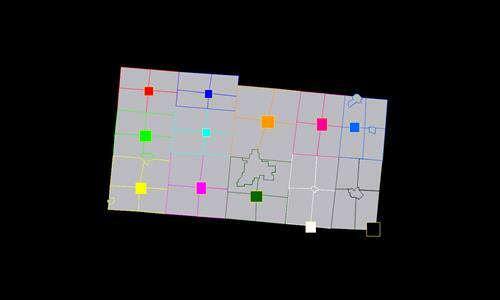 Champaign County, Ohio divided up into townships and cities/villages. The townships have been divided further to make the game more interesting than just 20 territories. Review by Andalorium on 2/20/2017. Usually it does not bug me but in the title county was misspelled.